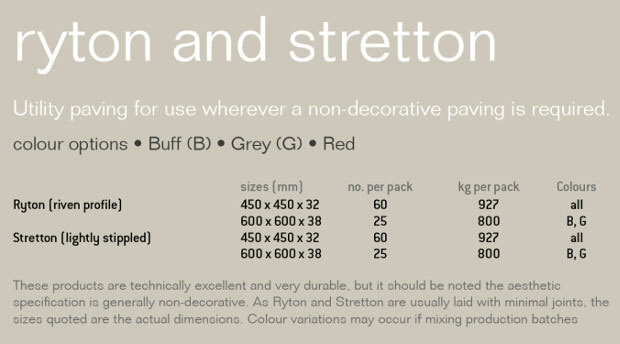 Stonemarket Stretton is a non-decorative utility paving option. Available in three colours, buff, red and natural/grey, this utility paving is lightly stippled and has slip resistant properties and is available in two sizes. Available in 3 colours - Red, Buff and Natural/Grey. Available in two sizes (all measurements in mm),: 450 x 450 x 32 | 600 x 600 x 38 (please note this larger slab is not available.